We also have a stock checker for the PlayStation Move Controller. 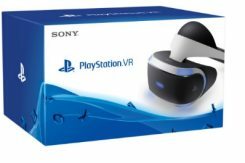 With the PlayStation VR (abbreviated to PSVR), Sony have developed their own Virtual Reality product to be used in conjunction with the PS4 console. Discover a whole new world of gameplay where you actually feel you are inside the game at the center of the action. 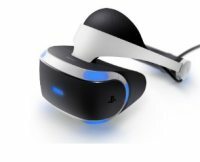 To use the Sony Virtual Reality Headset, you will also require a PS4 console and the PlayStation camera. All games will work with the existing Dualshock 4 controller (included with every PS4 console) and some titles will also work with the PlayStation Move motion controller. A newly developed super sharp OLED screen delivers a smooth display with 360 degree vision which together with the 3D speaker system makes you feels like you are actually part of the action. Intended for users aged 12 plus. Use our unique stock listings to locate stock as soon as it becomes available at our panel of top UK retailers. Our servers are constantly checking for stock to ensure you are the first to know when availability is found. During busy periods Playstation VR stock can literally sell out in minutes, it is therefore crucial you know quickly when stock is available to buy before it sells out.